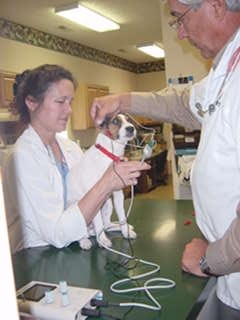 This is a hearing test we offer at our clinic. 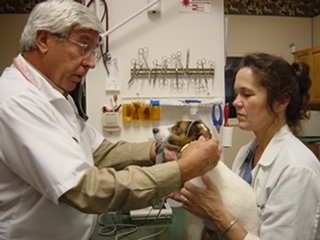 BAER is currently being used to eliminate or reduce the incidence of genetic expression of deafness from several breeds of dogs. 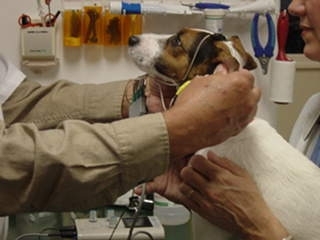 Since deafness is a genetic defect, and since it appears essentially at 2-3 weeks of age, testing the pup anytime after five weeks of age has become an excellent way to identify the auditory status of individual dogs. We offer a litter price for puppies or single test price for individual dogs.